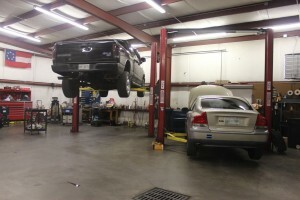 A Chattanooga Auto Repair Service helps people who are broken down and in major road accidents. It can prove to be very expensive to have your car repaired by a company whose reputation you don’t know. It is important to build a relationship with a qualified Chattanooga Auto Repair Service before you find yourself needing emergency service. 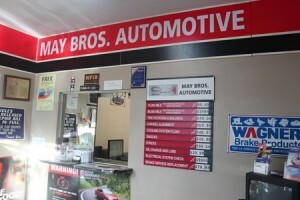 May Bros Auto Repair is here to offer you top quality automotive repair and maintenance services. If you have recently noticed any issues while driving your car, truck or SUV give us a call and see how we can improve your auto repair or maintenance service. You can also conveniently schedule an appointment online for a day and time that works best for you! Auto repair shops offer a range of services. A professional Chattanooga Auto Repair Service is always eager to assist you. You will want expert assistance to diagnose and repair your car when you have a serious problem. A Chattanooga Auto Repair Service will tow your car to their shop and handle the repairs for you. If you are looking for honest and reliable Chattanooga Auto Repair, our team of mechanics are here to help! Here are links to some of our most popular auto services: Brake Repair, Transmission Repair. Give us a call for all of your auto servicing and preventive maintenance needs. So if you are looking for a Auto Repair in Chattanooga, TN, call us today to learn more about how we can help you.